Voyages of Discovery that circumnavigated the world during the 15th-17th centuries, established trade routes and brought Europeans into contact with cultures and environments of faraway lands. While early voyages frequently served colonial and political agendas, the maritime and land explorations of the 18th and 19th centuries focused more on scientific discoveries. The crews included naturalists, botanists, zoologists, geologists, mineralogists, artists and illustrators, as well as astronomers, cartographers and surgeons. … Specialized natural history collections date back to 16th century Europe. 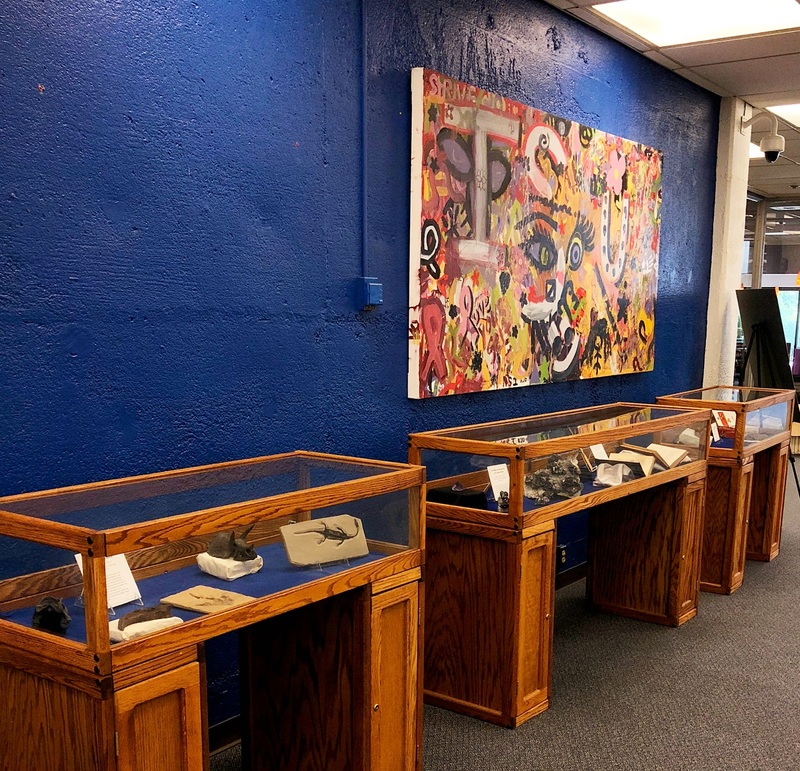 Referred to as “cabinets,” these collections feature examples of mineral, plant, and animal life accumulated and displayed often with some sort of classification system. 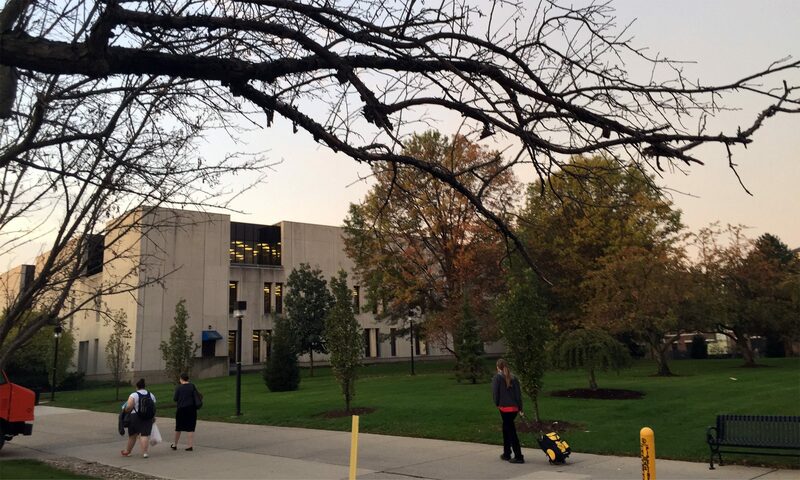 … Here at Indiana State University the tradition of scientific collection, preservation, and study continues. 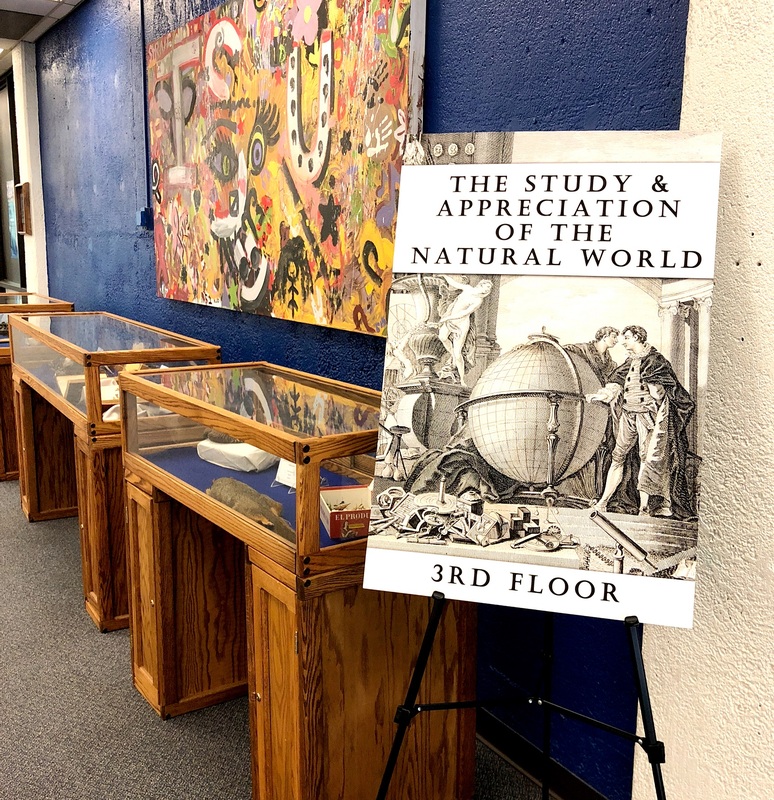 We invite you to view specimens from the cabinets maintained by the Departments of Biology, Earth and Environmental Systems, and Special Collections. Here is an opportunity for you to explore and appreciate the natural world. Welcome to a world of wonders! Glimpse a few pieces when you enter the Library, then move on to the 3rd floor for more! The 1st floor exhibits allow you to experience the excitement of discovery as you meet Bill Cain, a private collector, who offers examples from his personal cabinet of fossils for your contemplation.